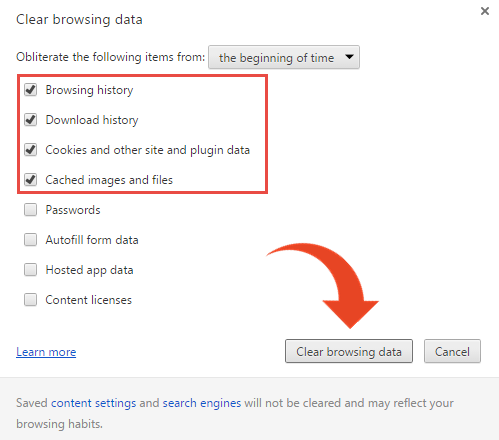 This article explains how to solve the issue for Google Chrome users. If you are using Internet Explorer, click here. If you receive the following error message in your browser when working with Google Chrome, follow the suggested solutions below to try and solve the problem. If you have issues with the Panaya Testing Tool when working with Google Chrome, follow the instructions in this article. Re-launch Google Chrome and check to see if the problem is solved.